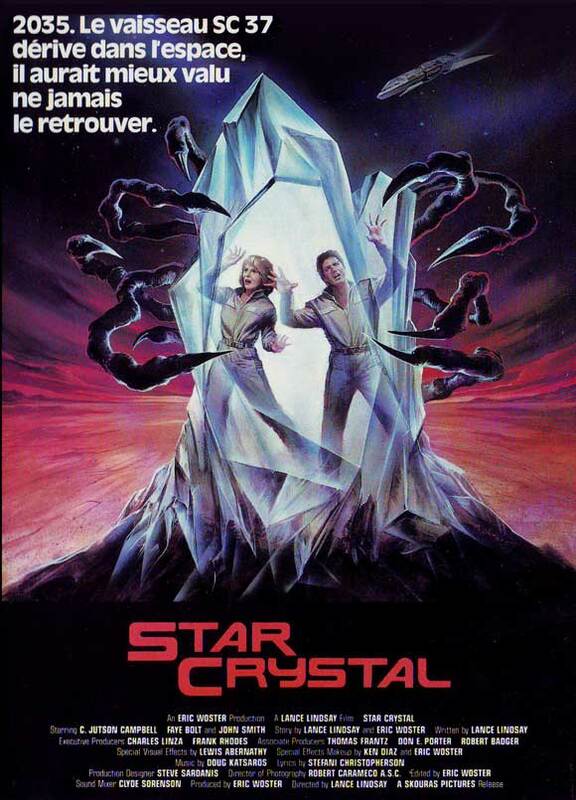 John’s Horror Corner: Star Crystal (1986), E.T. 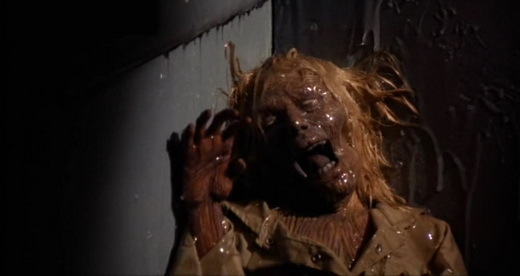 (1982) meets a fun gory B-movie Alien (1979) rip-off with a gooey tentacle monster. MY CALL: This feels like two shorter movies back to back—one is a gory Alien (1979) riff, the other is a light-hearted yet gooey play on E.T. (1982). Weird, gory, a bit funny, and surprisingly worthwhile. 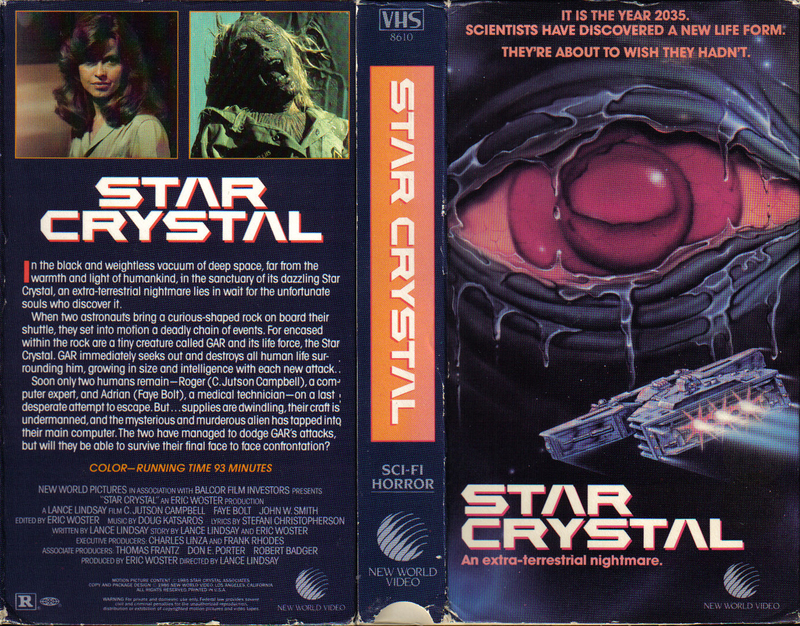 MORE MOVIES LIKE Star Crystal: For more low budget Alien (1979) rip-offs, you should seek Contamination (1980; aka Alien Contamination), Alien 2: On Earth (1980), Scared to Death (1980), Galaxy of Terror (1981), Forbidden World (1982; aka Mutant), Inseminoid (1982; aka Horror Planet), Parasite (1982), Creature (1985; aka Titan Find), Creepazoids (1987), Blue Monkey (1987), Nightflyers (1987), Deep Space (1988), The Terror Within (1989), Shocking Dark (1989; aka Terminator 2, aka Aliennators), The Rift (1990), Xtro 2: The Second Encounter (1991), Dark Universe (1993) and Zombies: The Beginning (2007). 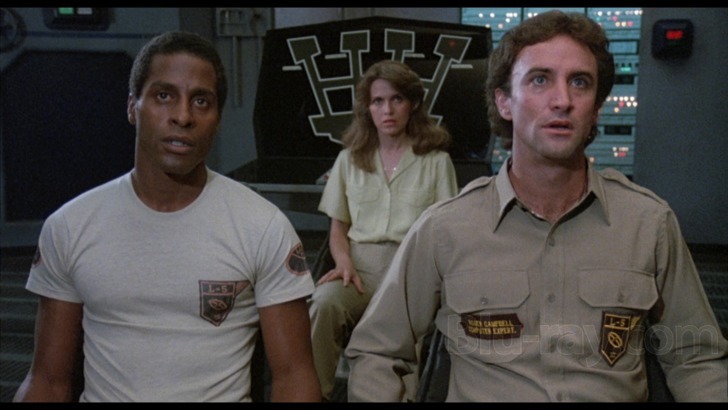 Directing his first film (of only two in his career), Lance Lindsay follows in the heavily-treaded tracks of Alien-copycats before him with this surprisingly entertaining B-movie that ambitiously covers a LOT more ground than you’d expect. During a 2035 Mars mission, two working class astronauts recover a Martian moon rock with a unique electronic signature (whatever that means). But if Alien Contamination (1980), Species (1995) or Apollo 18 (2011) have taught me anything, it is to NEVER trust space rocks or minerals! Naturally, this rock is more than it seems and starts emitting gas and leaking glowing goo before it “hatches” a sort of crystal and a squeaking pulsating alien thing (perhaps analogous in size and form to a chestburster). 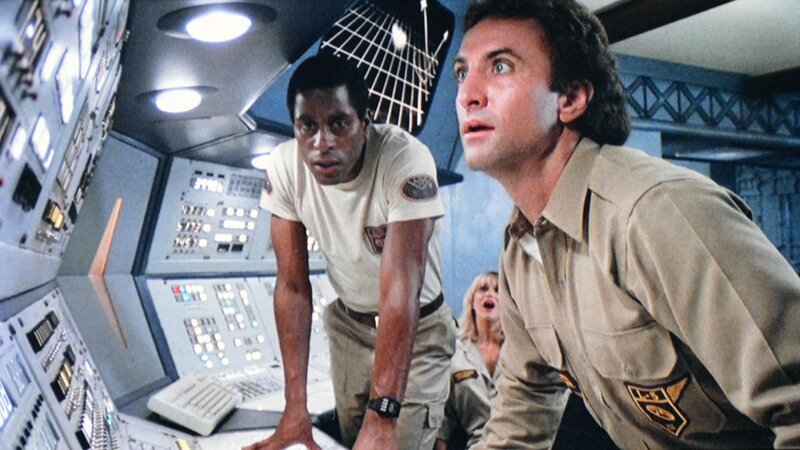 Shortly after meeting our chipmunk-sized alien, the spaceship engine shuts down and a loss of oxygen leaves the crew dead and blue-in-the-face. 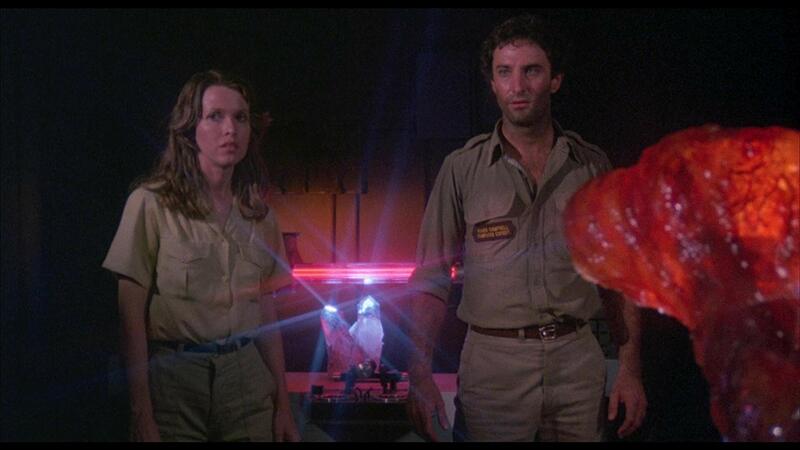 Two months later a subsequent crew recovers the wreckage… along with a now bigger, gooier, pulsating glowing alien thing with a bulbous body and very long tentacles (much like The Boogens (1981) or The Kindred (1987)). About 10 minutes into the running time, watch out for sculptings of the Millennium Falcon on the doors of a space station and another that might just be a Starship Enterprise moments later. 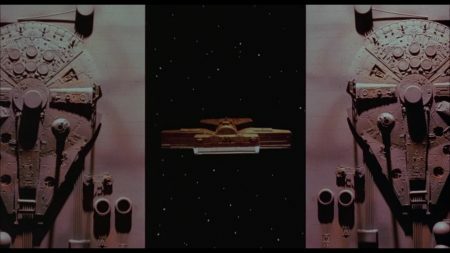 This is more than a cheap homage… the extensive use of quality models and set design continue to impress me. The model spaceship design and sets are ambitious for a low budget feature (much as Creature), the pacing is actually quite pleasant (not making us wait for 45-60 minutes for anything interesting to happen), and the acting is far more competent than most films of its kind and loaded with smarmy dialogue. The special effects include blood spurts, dripping slime, monstrously life-drained melty corpses, gooey alien slime-molting, and some fun tentacle monster attacks that get ample screentime. Instead of a facehugger parasite, our alien has a tentacle with three claws that attacks victims’ faces, and our xenomorph’s body looks like a mucus-glazed translucent E.T. (1982) with big neotenous eyes. And like E.T., this alien can speak, has the powers of telekinesis, and just wants to go home. From here the film transmutes into something much more light-hearted and even somewhat humorous as we lead to an unexpectedly happy ending for both our alien and the surviving crew members of the ship. How’s that for a change of pace? 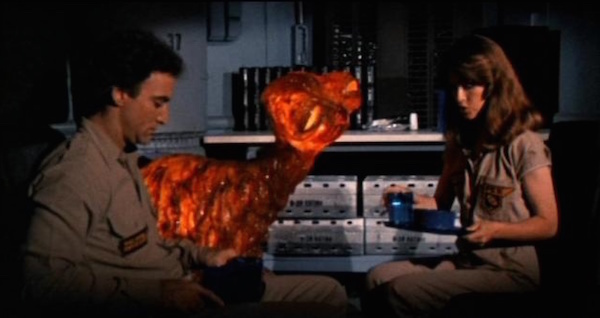 All said, this was among the more entertaining Alien (1979) rip-offs I’ve seen. Not just for it’s weird approach, but the care and vision behind it. 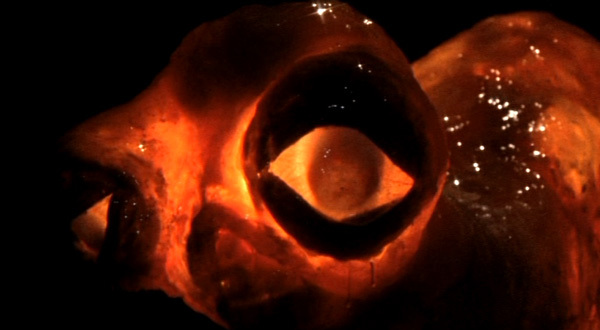 Oh, but it’s still a B-movie. Make no mistake! I never got around to seeing that one. Looks like it has merit. 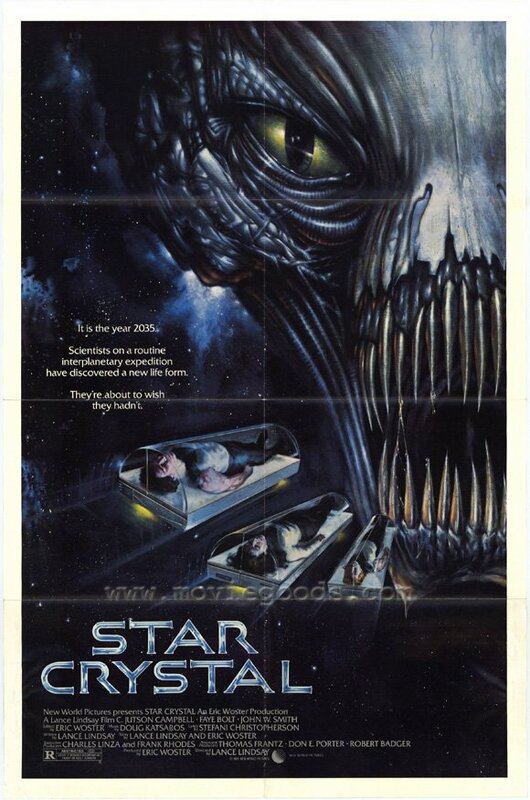 This (and 1985 Creature) are so far among my more entertaining Alien rip-offs. Pretty ambitious despite the budget. And THIS one actually has decent characters/acting, great for a B-movie, in fact. Not ever seen this one, sounds good and worth a look though. 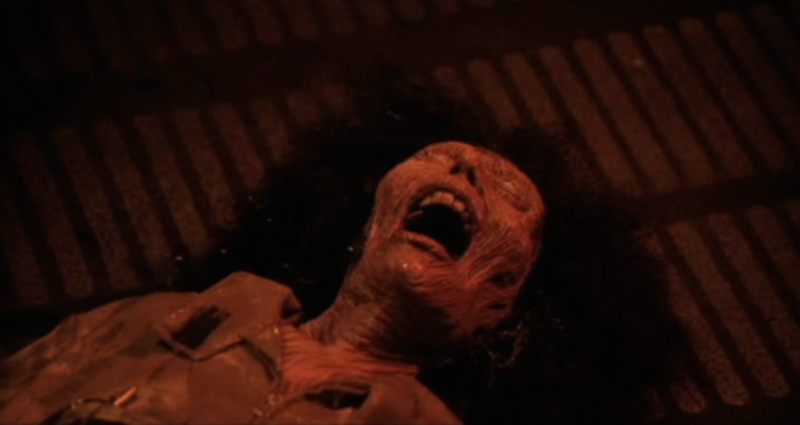 Agreed, as far as Alien Rip-Offs go, the film looks pretty decent for a B Movie like this. I’m honestly thrilled that I bought it (blind) on a FB page suggestion when I was fishing for Alien rips.